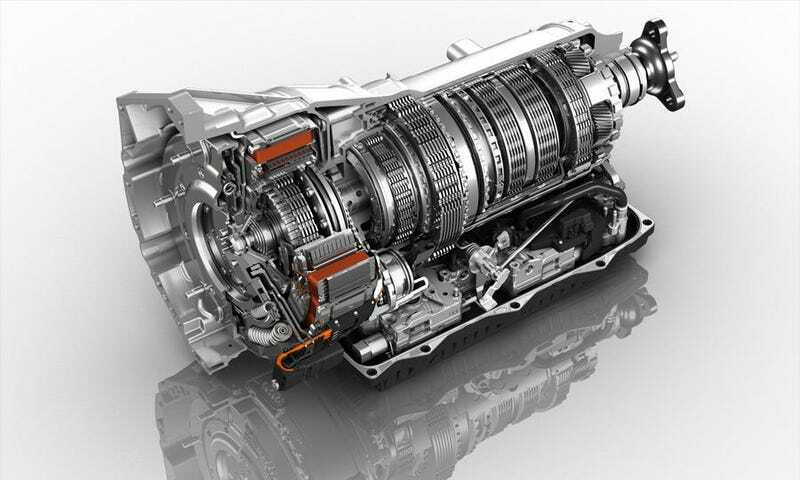 Why have 'axle ratio' choices with 8,9,10 speed transmissions? With so many gears coming and available now, then why on earth do we need to select towing axle ratios when the transmission has the ability to just drop a gear down and then your ratio is improved for that towing purpose? Looking at the reasoning of my thoughts: As I understand it, the towing vehicle is towing and not cruising and needs the engine to be in a torque range to be efficient at moving that big trailer. Understood. The past had 3 and 4 speed transmissions and with that you had to have a final drive ratio that got you to reasonable highway speeds yet was not lugging the engine along in low RPM out of that power range. If you were not towing, you selected a more MPG friendly drive ratio instead of that near 4:1 for the 30 foot goose-neck piled high with hay. Today: 8,9,10 speeds! A recent trip to the RAM trucks site, where they have the 8 speed transmission, has selections of final drives. Why do we have that? Why do we need that? Is the tiny bit of RPM change from dropping from 8th down to 7th, or even 6th not enough to put the engine in the efficient towing range of the torque curve? At this many speeds, we should see a set final drive, and the bazillion gears in the transmission select the one for the best towing power range. [EDIT] over some confusion over what i'm asking, here is the ratio of the ZF 8 speed automatic in the new RAM trucks. Given the extremely narrow variances between gears 5-8, won't the final drive choices be absorbed into the flexibility of the transmission? Especially with GM working on a 10 speed? So why do we still have to have a different axle ratio in the end if the transmission can make the change internally without impacting overall performance?